Instead of a single static exhibition for this year’s London Design Biennale, the Israeli pavilion will instead present an ever-rotating design studio. Exposed Nerves will feature one new design team every week of the Biennale, putting the creative process, not the end product, on display as a work of art in and of itself. 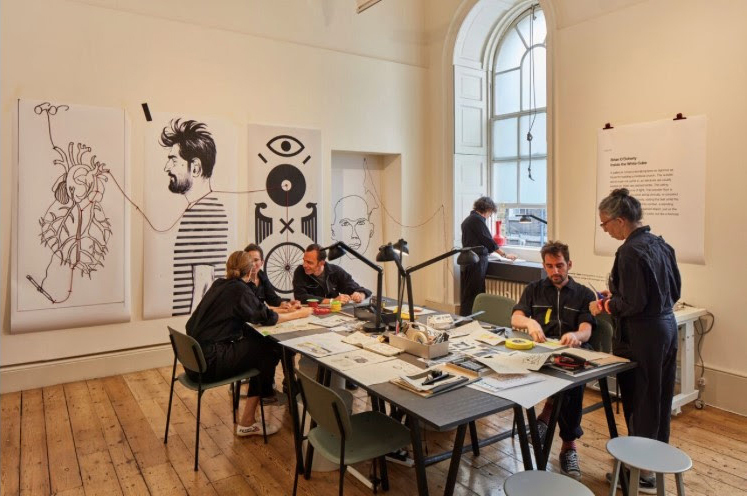 The 2018 London Design Biennale will run from September 4 through 23 and will kick off with a series of talks and lectures. The theme, Emotional States, challenged each of the 40 participants—each representing a different country, city, or territory—to think about how design affects emotions. For the U.S.’s contribution, the Cooper Hewitt will return after their showing at the inaugural 2016 Biennale with an exhibition that remixes facial recognition technology into an interactive playscape. For Exposed Nerves, lead curator Hila Shaltieli and the curatorial team chose to highlight the animating energy of design as a hectic, collaborative process. Each four-person team will feature artists from a variety of backgrounds, including illustrators, architects, textile designers, and more, working to create cross-disciplinary projects. Exposed Nerves will be split into two rooms: “The Studio,” where the artists create their work, and “The Gallery,” where work from the previous week’s team will be displayed. The teams will create daily works inspired by the news and collaborative goals, and visitors will get to experience both sides of the design profession.